Now that we are officially into the last month of the year, time feels as though it is speeding up, and we have a limited amount of it to finish everything. While this is not actually the case, it doesn’t seem to make that feeling any easier to deal with. Between the busy holiday season and the end of the year, life has a tendency to feel overcrowded, overbooked, and overwhelming. But it doesn’t have to be. Taking the time to prepare yourself (and your schedule) for December can help simplify your life, and go a long way to keeping the month manageable and even enjoyable. The best place to start simplifying your season is by making a list. Write as many things down as you know you need to do this month – parties, dinners, decorating, chores, shopping – and include dates if you have them. One important thing to remember here is to not let the length of this list trigger the overwhelm. Chances are it will be long and slightly detailed, but that’s not necessarily a bad thing. The more you already know about a task on your list, the less you will stress about when something unexpected comes up. Once you have your list in place, you can start entering these projects into the “Unscheduled” tab in Arena. As you edit each one, you can start to break each task up into smaller parts. 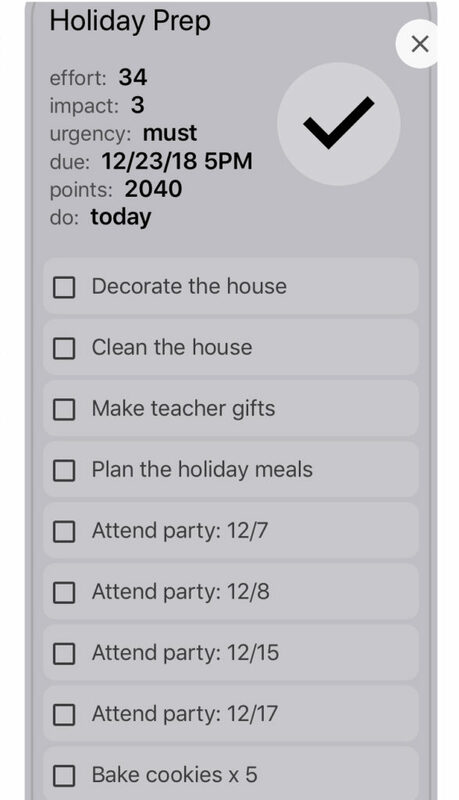 The Arena App can help you with this, as each project entered gives you the option of creating a to-do list that can be tailored to your project. Arena also comes with pre-built checklists that can be edited to suit your needs. As you complete a to-do, you simply check it off your list; you can even see your progress along the outside of your Arena task bubble! When entering a task or project into The Arena App, you will choose the effort, impact, and urgency of each in order to better visualize what you need to work on first. This helps simplify the choices you make when trying to decide where to start with your December list. Giving your largest project the highest amount of effort and impact will let you easily see what needs to be done first. If you don’t finish that particular project on the day it’s scheduled, it will simply move into your “Unscheduled” tab, and you can pull it back into your day as time allows. 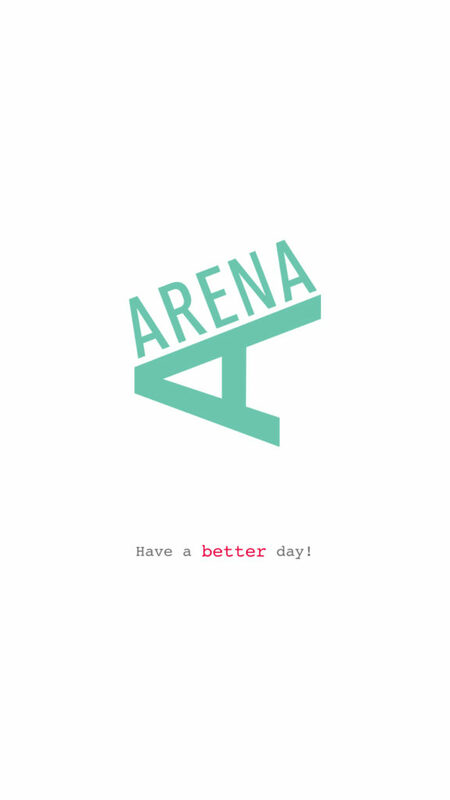 If you added a to-do list, Arena will keep track of your progress until it is complete. As you progress through your list, you will find that some tasks are much easier than others. But keeping track of them all the same way, in the same place, will make your December run much smoother. No more worry about how many different to-do lists you had to make (one for year-end work wrap-ups, one for holiday home preparation, one for shopping, etc.) or losing your piece of paper half-way through a list. The Arena App can help you keep all of your projects and commitment for the season in one place, helping to simplify your life and giving you the peace of mind that you always know where you are on any given project.